Doctor Scott Cannon graduated the Oregon Health & Science University School of Medicine in 1984. His residency was divided into two parts: the first part was performed at Oregon Health & Science University and the second part of his residency being performed at St. Vincent Hospital Medical Center. His certification in anatomic pathology & clinical pathology was issued by the American Board of Pathology. 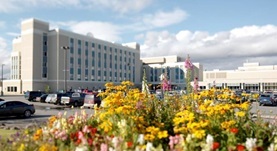 This pathologist is affiliated with Fairbanks Memorial Hospital, Alaska. His practice in the field of pathology extends for over 31 years.